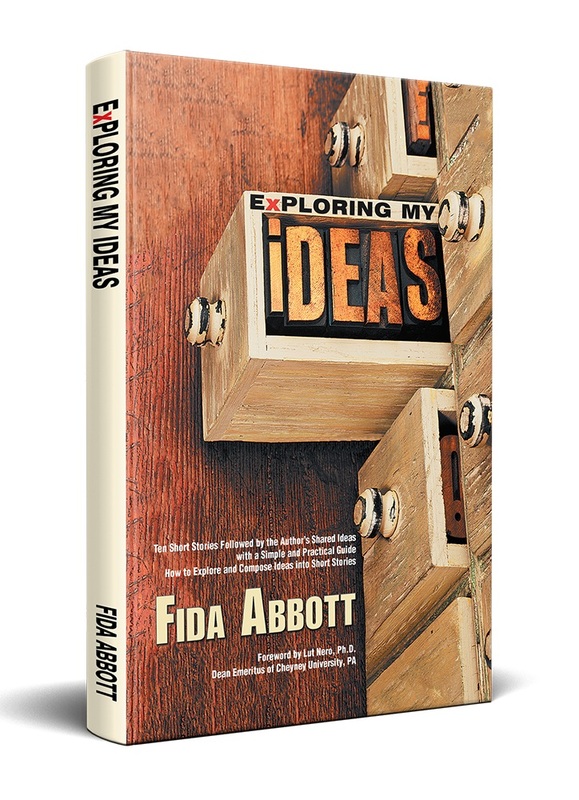 Fida Abbott's Books: What an International Certified Coach and Online Business Consultant Said About "Enthusiasm"? What an International Certified Coach and Online Business Consultant Said About "Enthusiasm"? Everyone knows if we need enthusiasm in our life. It becomes a main ingredient to achieve our goal or dream. 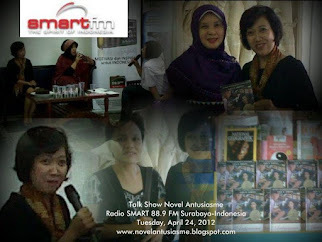 Eventually Enthusiasm book which is written based on its author's own true story has inspired many readers. One of them is an International Certified Coach and Online Business Consultant, Viviana Andrew, from Malaysia. Abbottsbooks had a chance to interview her last month. Let's read what she had said. A: Why and how did you start your profession as a certified coach and online business consultant? V: Initially, I was searching for a business without inventory. Then, I learned various skills in internet marketing and purchased different kinds of programs and software. I’m currently doing affiliate marketing and network marketing. I see the obstacles; people rely on good products and good opportunities, but they are lacking in business mindset and skills. Many people give up easily, and they hop from one opportunity/business to another, and they become disappointed. They blame the business and some label the opportunity as scams. I decide to be a coach/consultant for online business, so I can help them to build their business online with the right mentality and attitude and equip them with skills. A: What kind of preparations did you do to achieve the status of international certified coach? V: I took the accredited course by ICF (International Coach Federation) which means I had to attend online course, passed the exams and had practice of coaching hours to get the certificate. There’re stages in coaching: basic, intermediate and advanced. I have completed the intermediate level, and I’m currently studying in the advanced level. A: What are your short-term and long-term goals in business? V: My short-term goal is to promote business opportunity and to offer personal coaching/consultation for online business. Coaching isn’t popular yet in Asia. My long-term goal is to automate my online business by building a marketing funnel, to create info products related to online marketing and personal development. I also want to create a mastermind group for people who want to develop their potential by leveraging the power of Internet and social media, so they can create their own success. A: What is the biggest challenge to achieve your goals and how do you overcome it? V: My biggest challenge is time management/self-management because I have responsibility for my team, doing the project or creating info product. I’m also taking course and have responsibility for my family as well. I manage my challenges by focusing on my goals and to-do-list; I have coaches and work with different kinds of team for getting my project done and to have accountability for myself. I have an empowering belief as well to dispel negativity. I believe in success. A: How long have you been in online business and what have you achieved so far? V: I started affiliate marketing in 2010 and network marketing in 2011. I have helped people to set up their blog, coached people for their business and helped my team members working in the business together. - - Top MLM bloggers in 2011 and in 2012 and I was nominated as the upcoming blogger in the year 2012. - International best selling author, co-author the book with 29 International coaches/mentors Living without Limitations-30 Mentors to Rock Your World. A: In the book Living without Limitations-30 Mentors to Rock Your World, you are one of co-authors, what is the mission of the book and what topic did you write in the book? 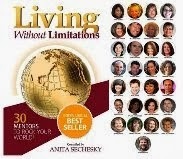 V: The team is lead by Anita Sechesky and the vision of book “Living without Limitations” came from her. The book has a mission to empower and to motivate people to break off their limitation and to dare to dream. The book was written by 30 mentors and she compiled the book. I wrote the chapter “Inspire Your Ambition”. I have seen people who just pass the days in their life without making any progress or achievement every year. They are not living. I discussed in the book on how to look for your source of inspiration and how to keep your ambition stronger so it doesn't die off. 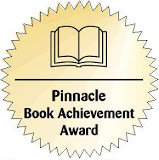 A: What did you and your team do to make the book Living without Limitations-30 Mentors to Rock Your World become the International Best Seller? V: We have support from our coaching school and other parties as well and the book becomes popular. It has many reviews at amazon.com. It was also due to our marketing strategy as a team as well. A: You’re one of the readers of a novel titled Enthusiasm. Could you tell us briefly how you knew and got the book,and why you were interested in reading Enthusiasm? 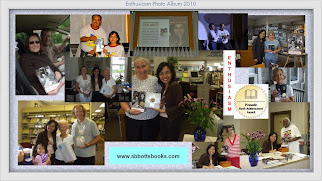 V: I was introduced to the book Enthusiasm by Fida R. Abbott and got the book from her too. I was interested to find out more about what she wrote about in the book. I believe that she is the right person to write about enthusiasm because she is enthusiastic about her life and she cares for people around her. She is persistent and has a strong character. I hope that I get to know her more from her book and I wish to model her enthusiasm. Her life experiences as an Asian living in the USA were interesting too. A: What kind of positive changes have you had after reading Enthusiasm? V: I try to strive constantly even when I have many challenges in my life. If we stay positive and keep striving, we will find the solution and we will make our goal and dream come true. I wanted to write a book at Amazon.com like what Fida did. I only had the opportunity in year 2013 when I became the co-author of a book titled Living without limitations – 30 mentors to rock your world. A: Which part did you find it you interesting in the book Enthusiasm? Why do you think it’s interesting? V: The conflict or dilemma with her spouse. Sometimes, her husband felt neglected because she dedicated her time on writing her book. I also have the same dilemma. Fida tried to create a comfortable working environment so the ideas could flow in. I think that is a good try. If you feel stucked, the reason can be from your surroundings. Joining a community of writers was a good idea so she could receive feedbacks. I also modeled her by joining a community and mastermind groups to support me and my business. A: What is your response if Fida is going to release the 2nd book of her Enthusiasm Saga? V: Great! I look forward to her new book. A: Whom do you recommend to read the book Enthusiasm and Why? V: In my opinion, I think that every woman or mother should read Enthusiasm. If you feel trapped in daily life, working or busy with family and house chores, you need to spare some time to think about yourself. You need to develop your potential, have a goal for your personal growth. Fida shared her experiences on how she juggled her time and managed to do many things in her life: working part-time, doing house chores, caring for her family and still doing volunteer work as a managing editor at KabarIndonesia, an online Indonesian news based on the citizen reporter. 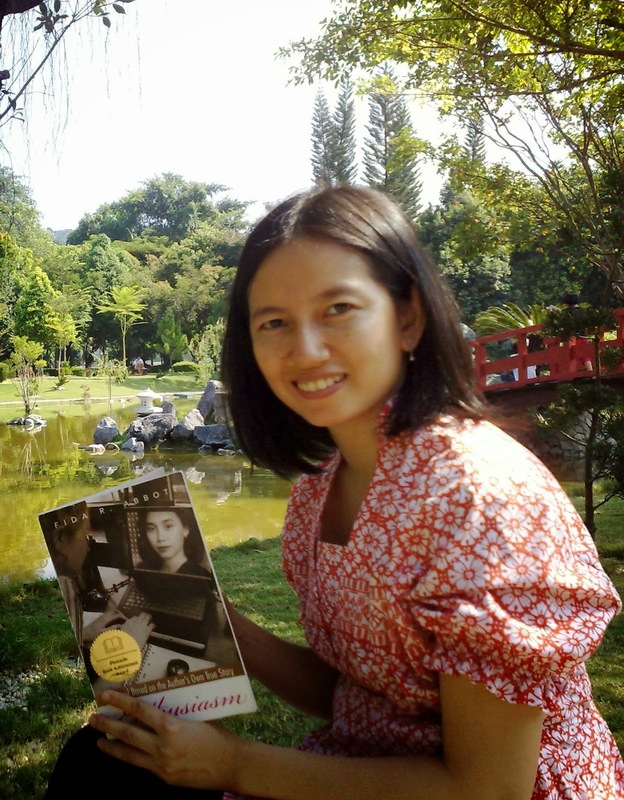 She also pursued her dream to be in the list of American authors at Amazon.com and her book won an award. A: Back to the book Living Without Limitations-30 Mentor to Rock Your World, whom do you recommend to read and where do we get the book? V: I recommend the book to everyone who is willing to change their life and remind them that they can live without limitations if they are willing to explore possibilities in their life. You can be, do and have things you want to if you are willing to break off from your limitations. The 2nd book, Living without limitations – 30 stories to heal your world will be released on 11th April 2014. You can get the book from http://amazon.com or visit my website, http://vivianaandrew.com (I feature the book with amazon link). A: What kind of advice would you give to young generations who are interested to be an entrepreneur/online coach/consultant? V: With technology, internet and social media, it is getting easier to start a business online and to become an entrepreneur. If you are interested to be a coach/consultant for online business, you need to learn skills in internet marketing and learn coaching skills. The most important thing is to have business or success mindset so you won’t give up easily if you encounter challenges. Viviana Andrew is a certified coach and online business consultant, certified law of attraction practitioner, and International best selling author. She was born in Indonesia and lives in Malaysia. Her mission is empowering people to achieve their own success by overcoming their limiting belief so they can build their business online with passion, clarity and uniqueness. Visit her website at http://vivianaandrew.com. She is also offering a business opportunity in Vemma to work with her and her global team, visit her website at http://vemmajourney.com. Her Youtube links are Inspire Your Ambition, Why You Read the Book Living Without Limitations, and About Viviana.